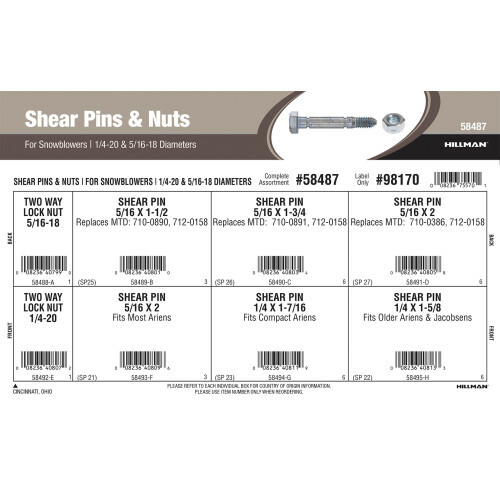 An assortment of shear pins and nuts from The Hillman Group. Shear pins are safety devices designed to shear in the case of a mechanical overload, protecting other parts from damage. Variants included in this assortment come in 1/4" & 5/16" diameters. Full assortment contains eight (8) refills comprised of Hillman item numbers #58488 - #58495.